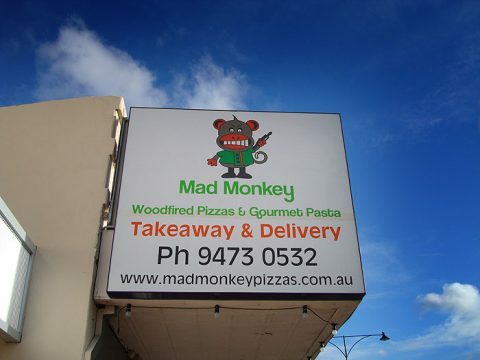 Signs are what Perth Graphics Centre makes, and our high quality signs will get your message across in the best way. 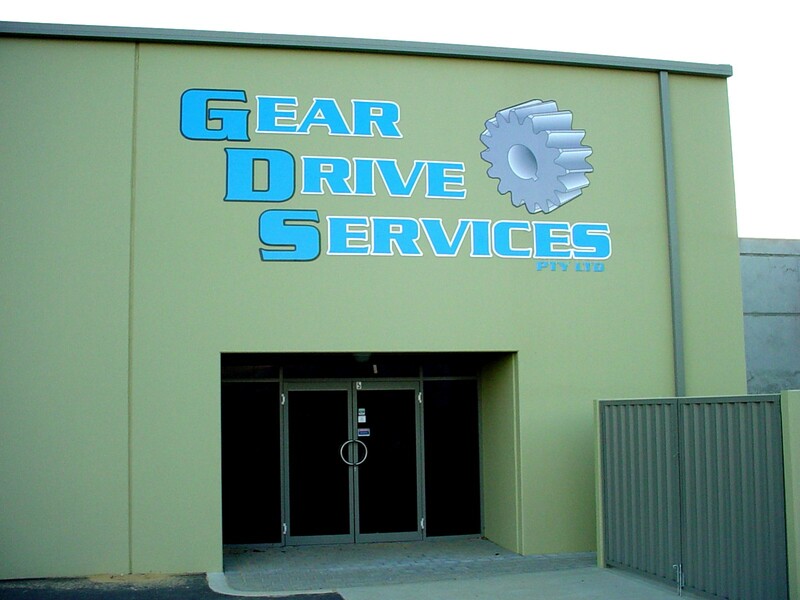 Corflute signs, banners, metal signs, aluminium composite signs, plastic signs – you name it, Perth Graphics Centre does it. But here’s the thing: How do you know which sign shop to choose in Perth? After all, there are hundreds all vying for your business. We spend time making sure you get what you want as well, as what you need. Our staff are friendly and knowledgeable, and are happy to sit down with you and have a chat about what you require. We can also have someone call out and measure up what you need. If you need a hand with design, we can help. If you need sign installation, we can do that, too. And no matter where you are in the Perth metro area, we’re available to help. The products we supply always last and we only ever use the highest quality vinyls and inks. In fact, we often get asked why we use and choose certain materials. For example, how many times have you seen a sign that has gone brown, almost as if it’s been burned? Well, in effect, it has. The UV from the sun has killed it. So how do you make your sign last? By choosing a cast vinyl. All our signs are made using cast vinyl – here’s a nifty little video to help you understand why cast is the best choice. In addition, our printing and cutting machines have been purchased on their ability to produce work quickly and reliably, while they are always maintained immaculately. 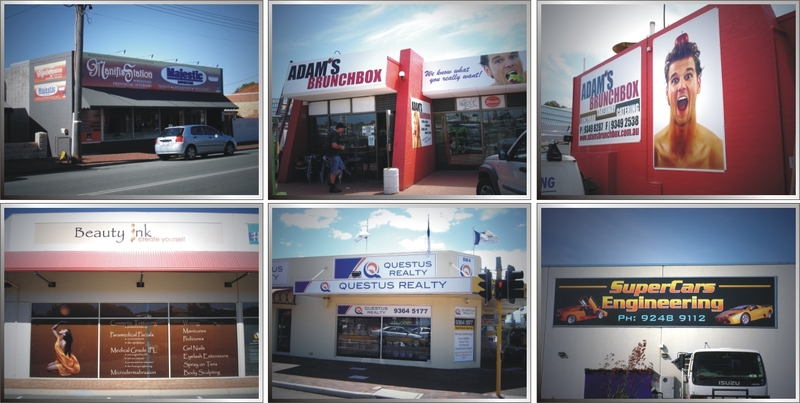 These are just some of the reasons Perth Graphics Centre should be your first choice for signs. What about revamping old signs? 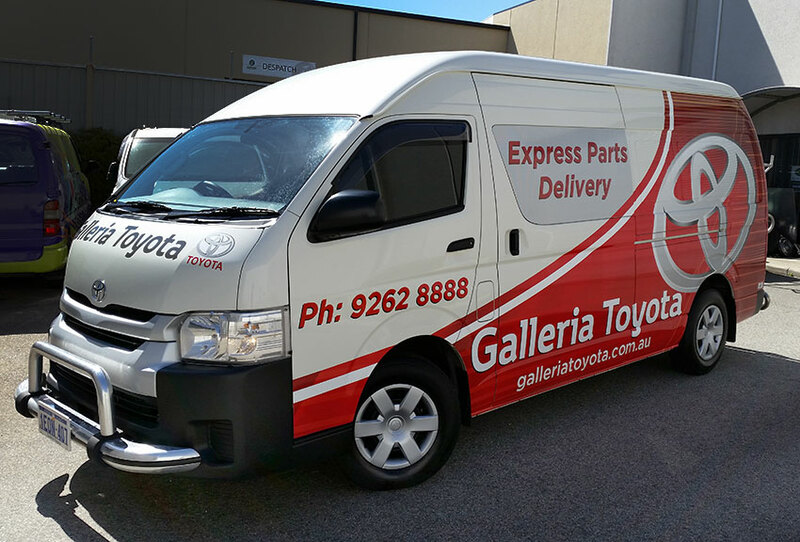 Yes, revamping is one of Perth Graphics Centre’s specialties, so if you’re wondering what kind of sign to get to freshen up your look, talk to the experts – Perth Graphics Centre. When you want to renew your signage after a few years, or if you want a completely new logo and branding roll-out, speak to us about new signage. We can send a consultant to discuss the best techniques for signwriting your building, vehicles, fleets, or even labels and stickers. Thousands of colours, and hundreds of materials are at our disposal to make your business look its best. Our high quality large format digital printers can also print full colour, so even photographs or blends are not an issue. And it’s all at excellent prices with quick turnaround. The variation in building signs is enormous, too. Here at Perth Graphics Centre, we can guide you in choosing what is right for your application. Please give us as much information as you can when you call. This will help us to narrow the choices to something appropriate to your needs. Installation staff here at Perth Graphics Centre are qualified to work at heights with appropriate equipment and hold Licenses to verify this if required. Perth Graphics Centre management are concerned about worker safety, so we will not allow risks to be taken with any installation. This means your signs are installed professionally, and correctly – the first time. Often the quickest way to give your shopfront a lift is to freshen it up with new signage. 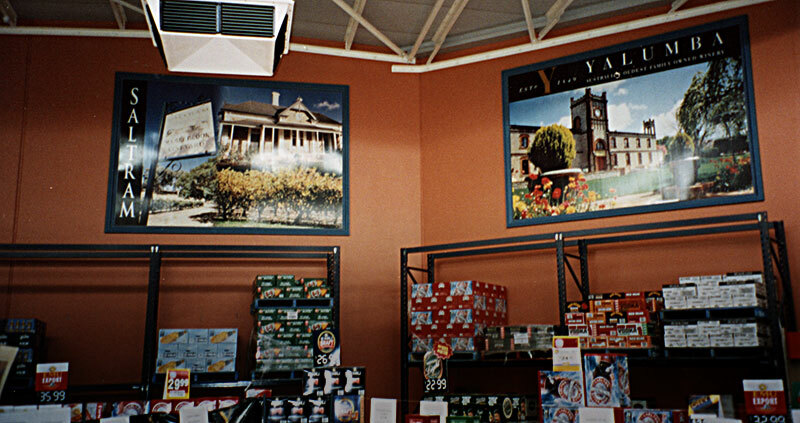 Old signs can look tired, and give off a negative impression. However with bright digital print, and new metal signs, you can transform the look of your shop and make it much more appealing. 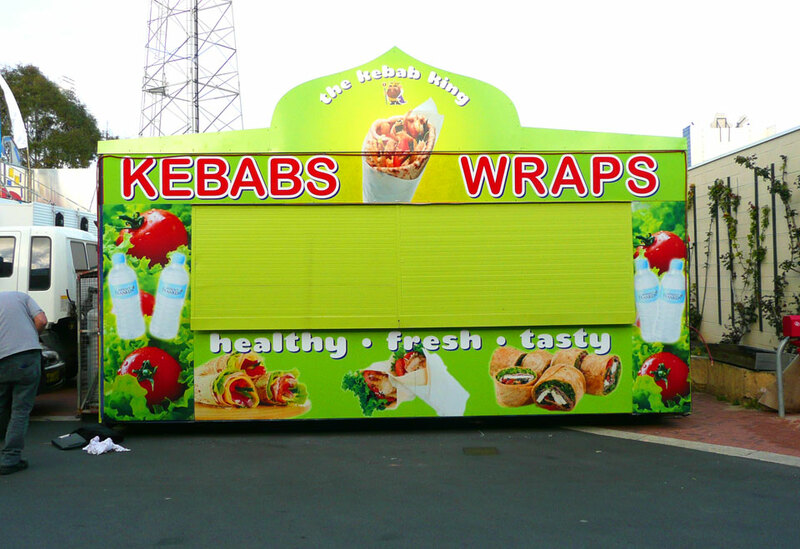 Have a look at the Kebab King Van we renewed before the Perth Royal Show. Now it draws people in, with its eye catching graphics. Our team of professional in house designers spent time with the client, Snax Catering, and came up with a new image for this previously tired looking van. Perth is awash with all different kinds of signs, and some of the most eye-catching are those on the end of awnings. Whether they’re facing oncoming traffic or facing the street, building signs using the awning are a great way to catch passing trade. They can be fabricated from Colorbond, aluminium composite, sailtrack skins or even using 3D lettering. It’s up to your taste and budget. 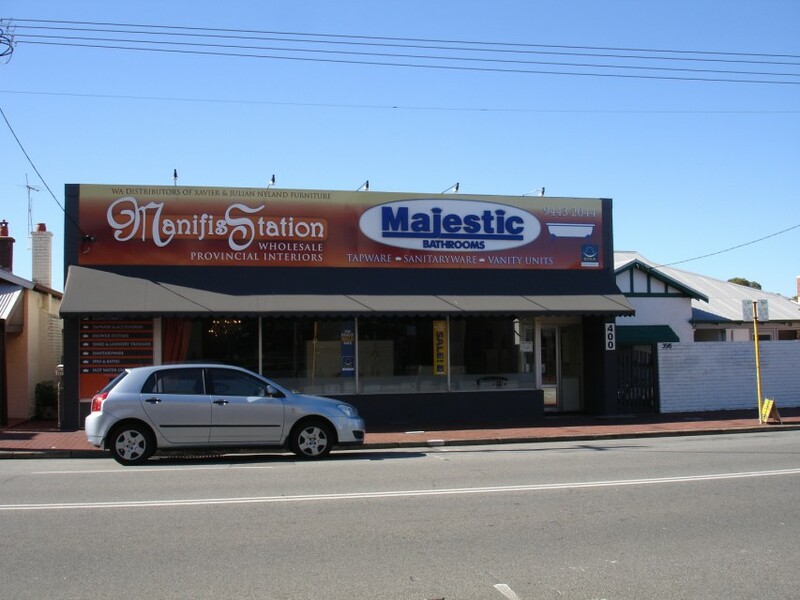 Here you can see a lightbox in Mount Lawley, and one that we have reskinned to maximise effect while minimising cost. Give us a call, or send us an email to arrange a salesperson to come and see you for a quote. These are just some of the examples of work we have carried out. Many more photographs are available at our office, or simply call us to have a chat about your signage needs. Just wondering if you do signs for mail box. I would like my address name of the street and number on a metal plate. How much would something like this cost if you do. Hi, I am looking for a quote to get some A Frame signs. Just the cheapest ones with the Plastic, with a logo printed, a business name and a phone number. If you could provide a price per sign please. I would also like to get a vehicle with signage, It is just a cheap old work car, but in good condition. Do you sell magnetic signs for cars? could you please let me know the different options and prices please. I am just looking for something simple again, like logo, business name and contact number. The vehicle is a single cab Ute, with a steel frame. I have my own designs and need these as soon as possible. Hi, do you make floor graphics – all weather signage that can be adhered to an external floor tile surface? I have a goalie helmet for ice hockey that I was looking to get some vinyl wraps for. I was thinking racing style stripes down the middle and 2 different logos on each side of the helmet. Do you guys do this and how much roughly would it cost? Thanks! !